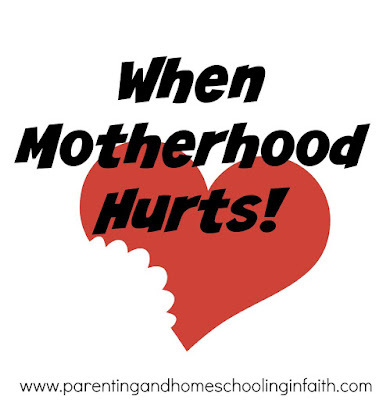 Diamonds in the Rough : I'm not a "good enough" parent...now what?? I'm not a "good enough" parent...now what?? Feed them breakfast. Pack their lunches. Run 'em to soccer practice. Don't forget to put the crock pot on. would be a LONG list of do's & don't's. Does anyone else ever feel this way?? comparing myself to other parents. & looking at my children, and making an assessment. Not an informative assessment... as in which character traits we're currently working on. But one that grades my self-worth. an "A", or perhaps start a speaking tour or something. that perfectionist type of thinking. As a first-born & Type A that is. champion a 'check list' mentality. result that we desire, we do 'x' to get 'y'. that give us our pride & self-worth! I think it's time for a parenting revolution. I'm not advocating throwing out the baby with the bathwater!!! The training of children to listen & respond to us. The social cues we instill. Minding their "p's & q's". Learning to love their neighbours as themselves. but to parent out of His grace, and His love. it's the way of generations of believers before us. a code or morality, as Christ followers, we're entirely missing the point. Instead, the primary goal is to lead them to the cross of Calvary. The cross where they, like ourselves, will receive freedom & forgiveness of sin. 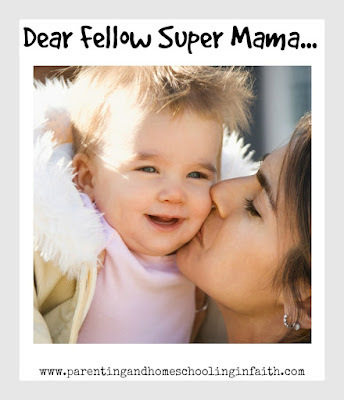 God's grace in my parenting? I highly recommend it as a great addition to your book library. 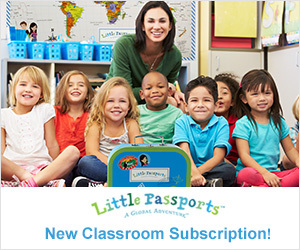 here advocate that families need to bring the cross into their parenting skill set. 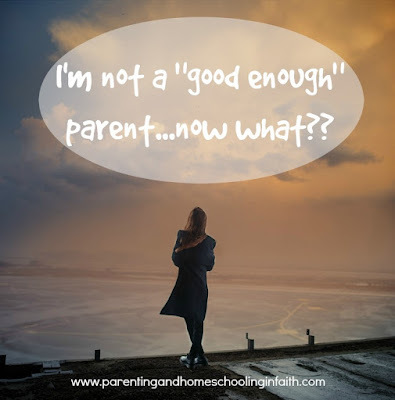 I am a "not good enough parent" myself. The list could go on & on! Bring it to the cross. So, parents, how do we do this practically? 1. Anytime we need to, we ask forgiveness for the wrong things we've done. 2. Jesus will forgive our genuine repentance, so we forgive ourselves. models to them that they too are important members of the family. 4. Pray for Him to help us to change. 5. Share with someone who can keep us accountable & also, encourage us. 6. Continue to pray for our children to experience the freedom that comes at the cross. there, to cultivate their own relationship with the Lord. will you show yourself more grace? Great post! Grace, Grace, Grace...amazing Grace...truly all is Grace...we love much because we have been loved much by the finished work of Christ on the cross...many blessings to you! 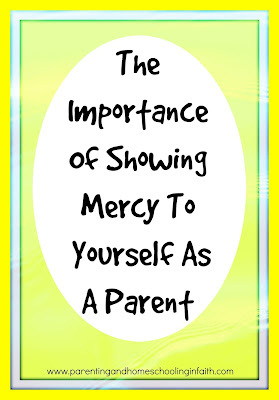 In my early years of being a mother, I had a short temper and said and did things I regret. God was good and gracious and my older children don't remember the crazy mom. My youngest is 11 and autistic. I believe God gave me this child to teach and mold me. In raising him, I ask myself daily, "What is love is the answer to all questions?" I am much more patient today than 20 years ago, and I know it is all due to the Holy Spirit guiding and teaching me. My prayer is all mommas come to this knowledge of the Grace of God. I was not always a patient and kind mother, but my children are grown and they have forgiven me. Your post is delightful and honest and I loved it. Thank you for sharing with us here at Tell me a Story. I love the idea of raising our children with grace. We often fall into the default legalism mode but that does not help. That's the kind of training I got and it wasn't all that good for me. I grew up with low self-esteem. At a point, I didn't even know who I was. So, I have decided not to make the same mistake with my kids. I have no problem apologising to them. They are people too and I've got to respect them. 10 Reasons To Consider Eating Healthy!! !